It’s a brand new week and we have lined up 5 brand new no deposit bonus offers for you! We have everything you wanted - free spins as well as no deposit cash - and can guarantee you an exciting and fun bonus-filled week. Kick it off with 20 exciting free spins at WildBlaster casino. Doesn’t matter where you are, we will find something new and exciting to suit your taste, every single week. Our team of experts handpicks the best no deposit casino offers for you each week. And that is what you can expect today. Read on to see what’s waiting for you! Sign up with WildBlaster casino to get 20 cool no deposit free spins on Starburst. The bonus is credited into your account directly once you sign up; there is no bonus code required. Of course, you will need to indicate that you wish to use the bonus at the time of signing up. The wagering requirement for this bonus is 45x the winnings from it, and the maximum cap on winnings from it is €/$20, 200 NOK, AU$/CA$30, 1,200 RUB, 0.002 BTC or 800 PLN. Get through this bonus to claim the superb welcome bonus package on offer. WildBlaster casino is relatively new and has loads of promotions for all its players; following up the no deposit bonus is a welcome bonus package that gives you a 100% match bonus up to $500 on your first deposit and follows that up with bonuses on your second and third deposits as well: 50% up to $100 and 75% up to $100 respectively. There are other bonuses and promotions as well, including weekly reload bonuses, weekend reload bonuses and more. You can use these bonuses to play more than 2000 high quality games at this casino, brought to you by more than 20 of the best providers in the business, including NetEnt, Microgaming, BetSoft Gaming, Pragmatic Play, and others. The live dealer casino has some of the best games around, from providers of the caliber of Evolution Gaming and NetEnt. This is a licensed and regulated casino, which is an automatic guarantee of fair gaming and secure banking. For any help you need there is friendly customer support at hand. Sign up at Wildblaster Casino and recieve 20 Free No Deposit Spins. What better way to start your casino experience than playing in real money mode with money that the casino provides? And that is what you get at Fruity Vegas casino when you sign up: a £5 no deposit bonus! And you don’t even need a coupon code to claim this bonus; it is credited directly to your account. The bonus comes with a 100x wagering requirement on the bonus amount. Once you are done with this bonus, make your first deposit to claim the cool welcome bonus on offer. Fruity Vegas casino is themed on 2 eternal casino industry constants - exciting classic slots and Las Vegas. Once you make your first deposit at this casino you get a welcome bonus of 200% match up to £500 and 50 free spins on Starburst. There are other bonuses beyond the welcome bonus as well for you to use. The casino is licensed by the Government of Gibraltar and regulated by the Gibraltar Gambling Commissioner. UK players are serviced with a license from the United Kingdom Gambling Commission (UKGC). The casino is powered by the Dragonfish platform, which gives you access to games from providers that include NetEnt, 888, IGT, Play ‘N Go, Thunderkick and Pragmatic Play, among others. Sign up with Grande Vegas casino . to claim 50 no deposit free spins. This is an exclusive No Deposit Rewards bonus that is available only if you sign up from our website. The no deposit free spins are available on Real Time Gaming’s Ghost Ship slot, and can be claimed using the coupon code 50FREESPINS. Go through the casino’s bonus terms and conditions for information about the wagering requirements and other conditions associated with the bonus. Once you are done with the no deposit bonus claim the exciting welcome bonus after your first deposit. First deposit: Get a 100% match bonus up to $100 that you can claim with the coupon code 100MATCH. Second deposit: Get a 150% match bonus up to $150 that you can claim with the coupon code 150MATCH. Once you are done with these two, get $50 free; you can claim it with the coupon code 50FREE. There are a number of other exciting promotions for the casino’s existing players as well, including a great VIP program. For any queries feel free to contact the casino’s support team. Grande Vegas has been providing a stellar Vegas casino experience to its players from the time of its launch in 2009. The casino uses Real Time Gaming software to provide players with a gaming experience of the highest quality. The casino is accessible from desktops, laptops, smartphones and also tablets. Sign up at Grande Vegas Casino and recieve 50 free spins, no deposit required. Open a real money account with Red Stag Casino to get a no deposit bonus of 47 free spins on the tantalising Cherry Blossoms pokie. This is an exclusive offer that is available only to players that sign up with the casino through us. You can claim the bonus using the coupon code CHBL47POKIES. Once you have used up the no deposit bonus, you can make your first deposit to claim an exciting welcome bonus package. And if you don’t want the welcome bonus, there is an alternative available as well: a 25% cashback bonus on your deposits. There are other promotions as well, including a multi-tiered VIP program. There is good payment support available and excellent customer support at this casino. This casino was launched in 2015 and is owned by the Deckmedia Group. It is licensed by the Government of Curacao and is powered by WGS Technology. The casino is accessible from desktops, laptops and mobile devices on the Android and iOS mobile platforms. Sign up with the renowned Casino.com mobile casino to get 20 fantastic free spins as a no deposit bonus. You don’t need a coupon code to claim this bonus as it is directly credited to your account. All you need to do is let the casino that you intend to use the bonus. You can use these spins to play Age of the Gods. For details about the wagering requirements and other conditions, go through the bonus terms and conditions carefully. Casino.com is one of the most well-known casinos around, and its mobile casino is just as good as the desktop version. The casino offers a welcome bonus of 20 bonus spins on Age of the Gods on the first deposit and 100% match up to $100 on the second, along with another 180 free spins on Age of the Gods. If you are a South African player you can claim a welcome bonus of 100% up to R4000 and 180 free spins on Age of the Gods for the second deposit; the first deposit offer of 20 free spins remains. The casino was launched in 2008 and is powered by Playtech software. This casino is licensed by 2 reputed licensing bodies and provides secure gaming with a certificate for the same by Thawte. The mobile casino is compatible with the Android as well as iOS platforms. Read about our insights on how to claim your free spins bonus on one of the most popular NetEnt slots around, Gonzo’s Quest. Read more about it here. 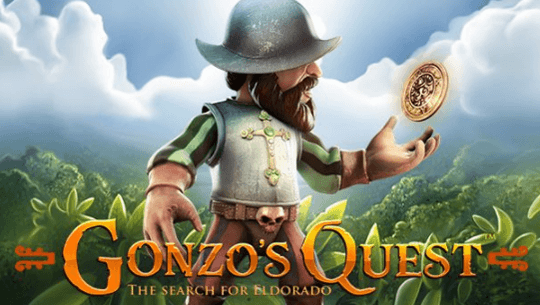 Discover how you can claim free spins on the popular Gonzo's Quest slot game.